Thom Hartmann is the four-time Project Censored Award-winning, New York Times best-selling author of 23 books currently in print in over a dozen languages on five continents. Hartmann is also an internationally known speaker on culture and communications, an author, and an innovator in the fields of psychiatry, ecology, and economics. The co-founder (with his wife, Louise) and former Executive Director of The New England Salem Children’s Village (1978) and The Hunter School (1997), he has led national innovations in the areas of residential treatment for abused children and private/public education for learning-disabled children. He has helped set up hospitals, famine relief programs, schools, and refugee centers in India, Uganda, Australia, Colombia, Russia, and the United States through the German-based Salem International program. Formerly rostered with the State of Vermont as a psychotherapist, founder of The Michigan Healing Arts Center, and licensed as an NLP Trainer by Richard Bandler (who wrote the foreword to one of Thom’s books), he was the originator of the revolutionary “Hunter/Farmer Hypothesis” to understand the psychiatric condition known as Attention Deficit Hyperactive Disorder (ADHD). A guest faculty member at Goddard College in Vermont, he also synthesized the “Younger/Older Culture model” for describing the underpinnings – and possible solutions – to the world’s ecological and socio-political crises, suggesting that many of our problems are grounded in cultural “stories” which go back thousands of years. 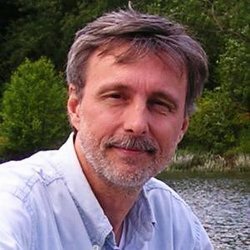 Talkers Magazine named Thom Hartmann as the 8th most important talk show host in America in 2011, 2012, and 2013 (10th the two previous years), and for three of the past five years the #1 most important progressive host, in their “Heavy Hundred” ranking. His radio show is syndicated on for-profit radio stations nationwide by Dial-Global, on non-profit and community stations nationwide by Pacifica, across the entire North American continent on SiriusXM Satellite radio, on cable systems nationwide by Cable Radio Network (CRN), on its own YouTube channel, via Livestream on its own Livestream channel, via subscription podcasts, worldwide through the US Armed Forces Network, and through the Thom Hartmann App in the App Store. The radio show is also simulcast as TV in realtime into nearly 60 million US and Canadian homes by the Free Speech TV Network on Dish Network, DirectTV, and cable TV systems nationwide. His evening TV program, The Big Picture, is wholly owned by his own production company, produced in the RT studios, and licensed to and carried by Free Speech TV in the US, and into over 600 million homes in 104 countries via broadcast and cable by the RT TV network, and distributed worldwide on the web on Hulu. As an entrepreneur, he’s founded several successful businesses which still are operating, and lived and worked with his wife, Louise, and their three (now adult) children on several continents. He was born and grew up in Michigan, and retains strong ties to the Midwest, although he and Louise have lived in New Hampshire, Vermont, Georgia, Germany, and Oregon…and now live on a boat in Washington D.C. with their attack-cat, Higgins.